Have you ever seen a website or a blog that is made in WordPress and items on the website display animation? Like, text boxes flying in, rotating pictures, blocks flashing in and alike. Now if you have used WordPress, I am sure you know that it is not easy to create such animation effects. And even if you want to create animation, you have to spend a lot of money. You will have to hire designers and expert programmers that will create scripts and codes for you. But there is one way of creating animations with one-click on pretty much any WordPress website. Click Animate is a WordPress plugin that will convert your boring, static and non-professional website into interesting, dynamic and professional website. Let’s find out all about this amazing plugin in Click Animate review. ClickAnimate is a WordPress plugin so it works only with WordPress websites. What it does is that it animates any item on your web page. You will choose the web page that you want to add animation effects and you can do it. It has its own editing panel that is extremely fun and easy-to-use. You can choose items that you want to animate, choose animation style, set timing and save. Your web page is now animated and is ready to bring in sales and leads like never before. Not only you but your audience will love your website. The number one reason why you should use this plugin is that it has the power to double or even triple your conversion rate providing you with massive increase in traffic, reduced bounce rate, increased leads and sales, and more profit. Customers love animation and they love to see cool things on your website. They are used to seeing those still and dull websites that are full of content. Animated wed pages are the next big thing. An extremely simple to use plugin that will make your life a lot of easier. You don’t need any training to get used to this plugin. It is simple as hell. The best thing is, it will not going to make your website heavy neither will it increase load time. There are three licenses to choose from. Single site license is available for $19 while 10 site license is available at $27. 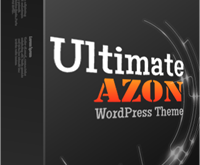 If you are interested in unlimited site license, you can get it at $32. It is a very affordable WordPress plugin. 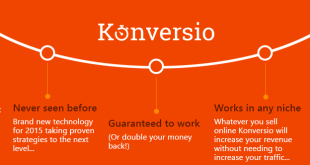 It is best at increasing conversion rate. It will make your website look better and professional. Animations do not increase load time of your website. It comes with full 30 days money back guarantee. I am not sure whether it will really increase sales and conversion rates since not everyone likes animations especially if you are running a pure business website. Click Animate is a really nice WordPress plugin that has a lot of potential. It can turn your website into an animated and interactive interface that your audience will love. But you cannot use it on all types of websites for instance, you cannot use animation on your ecommerce store or maybe on your corporate website. You have to decide yourself when and how to use ClickAnimate to ensure best results.